Home-Based Primary Care This program (formerly Hospital Based Home Care) began in 1970 and provides long-term primary medical care to chronically ill veterans in their own homes under the coordinated care of an interdisciplinary treatment team. This program has led to guidelines for medical education in home care, use of emerging technology in home care and improved care for veterans with dementia and their families who support them. In 2003, home-based primary care programs were located in 76 VA medical centers. Contract Home Health Care Professional home care services, mostly nursing services, are purchased from private-sector providers at every VA medical center. The program is commonly called "fee basis" home care. Adult Day Health Care (ADHC) Adult Day Health Care programs provide health maintenance and rehabilitative services to veterans in a group setting during daytime hours. VA introduced this program in 1985. In 2004, VA operated 21 programs directly and provided contract ADHC services at 112 VA medical centers. Two state homes have received recognition from VA to provide ADHC, which has recently been authorized under the State Home Per Diem Program. Home Hospice Care Home hospice care provides comfort-oriented and supportive services in the home for persons in the advanced stages of incurable disease. The goal is to achieve the best possible quality of life through relief of suffering, control of symptoms, and restoration or maintenance of functional capacity. Services are provided by an interdisciplinary team of health care providers and volunteers. Bereavement care is available to the family following the death of the patient. Hospice services are available 24 hours a day, seven days a week. VA provided home hospice care at 73 medical centers in fiscal year 2003, the first year the service was offered. Geriatric Evaluation and Management (GEM) Older veterans with multiple medical, functional or psychosocial problems and those with particular geriatric problems receive assessment and treatment from an interdisciplinary team of VA health professionals. GEM services can be found on inpatient units, in outpatient clinics and in geriatric primary care clinics. In 2004, there were 57 inpatient GEM programs and more than 195,000 visits to GEM and geriatric primary care clinics. Geriatric Research, Education and Clinical Centers (GRECC) These centers increase the basic knowledge of aging for health care providers and improve the quality of care through the development of improved models of clinical services. Each GRECC has an identified focus of research in the basic biomedical, clinical and health services areas, such as the geriatric evaluation and management program. Medical and associated health students and staff in geriatrics and gerontology are trained at these centers. Begun in 1975, there are now 21 GRECCs in all but two of VA's health care networks. 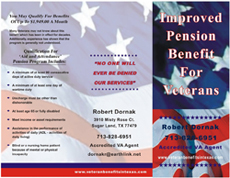 Nursing Home Care VA's nursing home programs include VA-operated nursing home care units, contract community nursing homes and state homes. 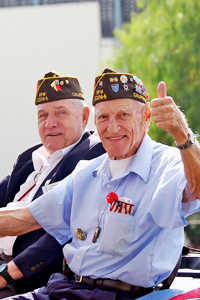 VA contracts with approximately 2,500 community nursing homes. The state home program is growing and currently encompasses 114 nursing homes in 47 states and Puerto Rico . In fiscal year 2003, approximately 70 percent of VA's institutional nursing home care occurred in contract community and state home nursing homes.